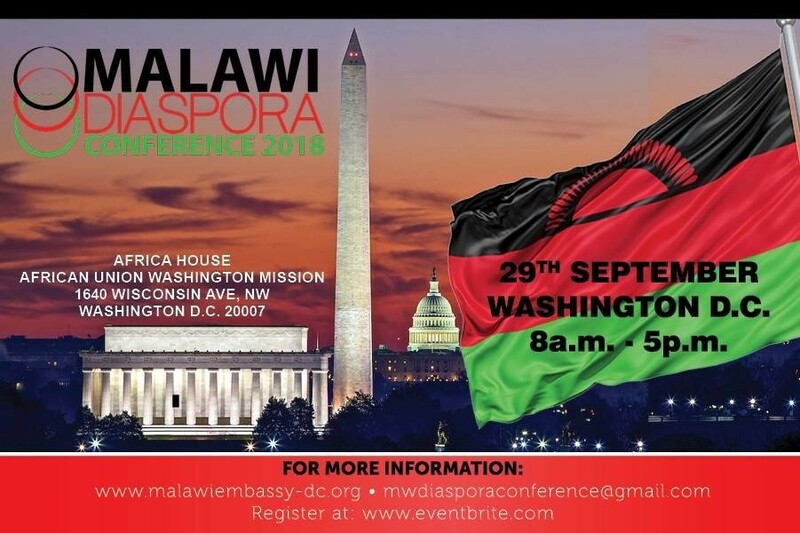 The Malawi Diaspora Conference is promising to bring together Malawians living in the USA and surrounding areas with a common objective of discussing how they can contribute to the development efforts of their mother nation. This is a follow up from the meetings Dr. Grant Kabango who serves as Deputy Governor of Economics and Director of Reserve Bank of Malawi and Ambassador Edward Y Sawerengera based in Washington DC. Led last year meeting Malawians in Dallas Texas, South Bend, Indiana and Seattle Washington. According to the Malawi Embassy team there will be a team from MITC, Ministry of Lands and Ministry of Foreign to attend to matters on investments, land and the much dual citizenship. Part of Malawi Government’s initiative to engage the Diaspora. One of the strategies listed in the National Diaspora Engagement Policy. Engagement Policy will assist with Diaspora mapping so that the Diaspora can effectively get involved with affairs back home and develop a clear platform on how to assist the Diaspora when they want to assist in Malawi. Malawi Embassy in the USA in liaison with leaders of the Malawi Diaspora Associations in the USA thus Malawi Community in the USA, Malawi Washington Association, Malawians in Texas Organization, Malawi Washington Foundation, Mphamvu mu Umodzi, New England Association, Malawians in Seattle. .FDH Bank and Reserve Bank of Malawi are sponsoring the Conference. FDH Bank will send a representative to attend to matters on banking and investing in Malawi through the Bank. Speakers include Africa Union Mission Representative, USAID Senior Diaspora Advisor, and leaders from other African countries Diaspora Associations. This is a chance for Malawian Diaspora to come together respective of their political affiliation and have a dialogue on how they can come together and contribute to activities for Malawi in a coordinated manner.